There are no solved problems listed on our records for this fridge-freezer. To submit a problem or give a solution for an unsolved problem, please see the list on the right. There are no unsolved problems listed on our records for this fridge-freezer. To submit a problem or give a solution for an unsolved problem, please see the section below. All problems on this page have been submitted and answered by users. If you have a problem with the LG GB3133PVJK, please submit it below and we'll post it here. 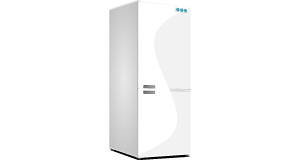 If you have a problem and the refrigerator, freezer or fridge-freezer is under a year old, contact your retailer to arrange a repair or replacement. Under the Sale of Goods Act, you should be covered for at least a year and maybe longer. Take extreme care when attempting to repair a refrigerator, freezer or fridge-freezer. Always disconnect from the mains and defrost thoroughly where necessary. Solutions suggested on this site are for informational purposes only; we accept no responsibility for any damage caused to your home, kitchen or equipment as a result of following the advice shown here.